The first presidential inaugurations of Donald Trump’s lifetime (b. 1946) were also the first to be televised, beginning with Harry Truman’s second term in 1949. Though radio coverage was already available, the new availability of inaugural sights and sounds in American living rooms transformed the ceremonies taking place at the capitol into thoroughly nationwide popular events. If he watched, a genuinely tiny-handed little Mr. Trump would have seen the Marine Band playing “Hail to the Chief,” marching for Truman just as it would for him decades later. 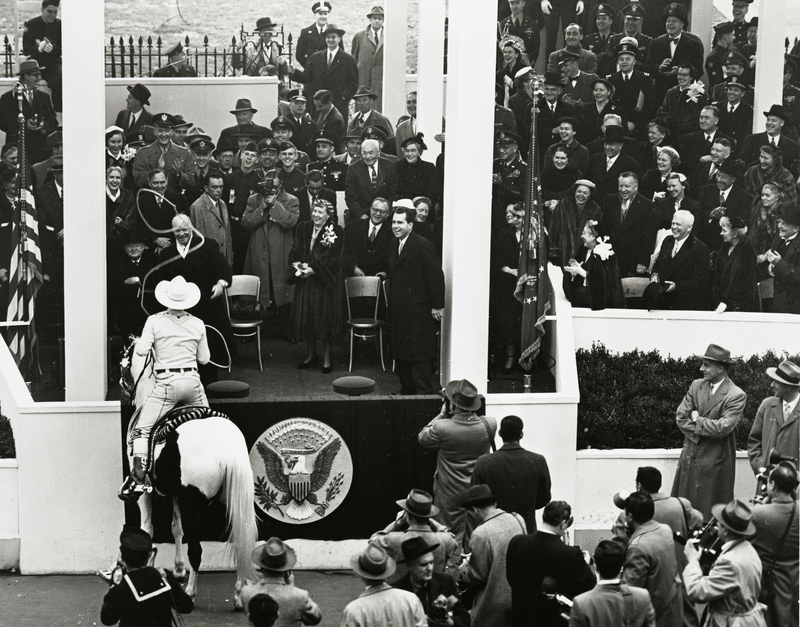 He would have caught the 1953 moment when cowboy rodeo star Montie Montana lassoed the new President Eisenhower in his reviewing box, long before, as president-elect, Mr. Trump would commission a cowboy hat to commemorate his own inauguration. (He would also have heard Charlie Brotman as inaugural parade announcer for the first time in 1957, little knowing that 61 years later he would fire the same man just prior to his own parade, by email). In fact, the participant roster for the 2017 inauguration reads a little like a collection of the boyhood heroes a man of Mr. Trump’s age might have worshiped in the 1950s—the policemen, firefighters, veterans, and cowboys, ordinary working-class citizens who, in the post-War American imagination, made America great. We might puzzle that the man who lives in a Versailles-inspired penthouse will not have the most extravagant installation since the British monarchy exited the colonies (the original Brexit), but it is consistent with the anti-elitist rhetoric that attracted so many voters. Mr. Trump’s tweeted declaration of independence from the celebrity casts him as a champion, and gatekeeper, of ordinary Americans. The dearth of stars available does mean that in this inauguration, more focus will be placed on these “PEOPLE,” as it was in the early years of Mr. Trump’s life. They will be on display especially in the inaugural parade, which accompanies the president from the capitol building to the White House after the swearing-in. They will march in both homegrown patriot groups and the civic organizations charged with keeping the nation safe—and they will march to American music. “Ordinary Americans” and “American music” are of course complicated classifications, and the collective bodies chosen to represent them on state occasions tell us much about social and sonic identity politics at a given historical moment. The bodies who themselves choose to represent them, to accept the invitation, says quite a bit, too. Hopeful groups applied to participate before the end of the election, and those selected made the decision whether or not to attend—most publicly, a band from the historically-black Talladega College, which carefully considered its choice after alumni criticized it. In the end, the band will perform, the college President disavowing any potential political implications in performing at what he terms a “civil ceremony.” But any performance can be political, as Lincoln and Denzin argue, “an act involving potential struggles and negotiations over meaning, identity, and power…” (Lincoln and Denzin 2003: 440), and the sounds of the inaugural parade will encapsulate specific musical histories of Americanness. The official souvenir program pamphlet for William McKinley’s 1901 inauguration included a fanciful essay imagining what a 21st century event might look like. While McKinley had the traditional cordon of military and civic bands, led by the “President’s Own” Marine Band as it had been a hundred years earlier, the prophesied leader of the 118 United States would have only “four great automatic bands…operated by buttons, [that] simultaneously rendered a programme of popular music.” Actually, despite the fact that we could use pre-recorded or automated sounds, in 2017 the nine marching bands will still be led by the same very-much live Marine Band. Every inaugural parade since 1801 has included professional bands of the U.S. military branches, and eventually their progeny, civic, college & university, and high school marching bands, as community ensembles took the nation by storm later in the 19th century. Since then, the bands and their music have helped to shape our ideas about American national identity in shifting global contexts. Sometimes there has been a kind of world-exhibition character to the roster, as in 1909 when the Philippine Constabulary band joined William Howard Taft’s inaugural concert to demonstrate American colonial success (“Men Who Seven Years Ago Had Never Seen Instruments Now Play Wagner and Beethoven,” read a contemporary news feature.) And often, the music of our patriotism reflects the complex relationship between the U.S. and Britain, between immigration and Americanness. Next Friday, the Marine Band will, as it has since the 19th century, and as it does dozens of times per year, play “Hail to the Chief.” Charmingly, as Elise Kirk relates (1997: 123), Harry Truman turned musicologist himself after he heard it at his inauguration, and wrote to a Scottish journal to ask about the origin of the familiar tune. Though Truman did not learn the full story, the tune that honors our presidents was popularized during the War of 1812 (the same conflict that produced The Star Spangled Banner) through sheet music, after it appeared in a dramatic production based on Sir Walter Scott’s 1810 poem Lady of the Lake. The stanzas set by English composer John Sanderson for an 1811 British play were was picked up in an 1812 American version, for a scene in which a chorus of boatmen salute the Douglas clan’s chieftain Roderick Dhu—Kirk suggests that Sanderson’s may have either used the melody of a preexisting traditional boat song or composed an imitation (131). At the time “Hail to the Chief” was written, the U.S. was engaged in a conflict ignited in part by contradictory understandings of immigration (Taylor 2010). For the U.S., a British subject who had emigrated from Britain was no longer a British subject; Britain did not subscribe to this line of thinking, and had been continually pressing, among others, Irish American sailors into military service for the crown. Now, as we inaugurate an administration elected partly for its own controversial views regarding who is allowed to be American, the ceremonies will showcase another tradition, one that is central to the negotiation of Irish American identity. Mr. Trump has been hailed by some as a hero of American whiteness. The made-in-the-U.S.A. whiteness he grew up with emerged after the Second World War, constructed through the destruction of non-white ethnic neighborhoods, and the evacuation of white ethnic neighborhoods in fear of the sudden resulting influx. These changes led to the development of suburban spaces (like those Fred Trump built) to house a newly monolithic collection of white “European American” identities (Lipsitz 1995: 373-374). Consequently, the reaffirmation of white ethnic identities suddenly felt like a newly urgent matter. This is where the pipe and drum band tradition came in. Five pipe and drum bands will play in the parade, including the US Border Patrol Pipe & Drums and the NYPD Emerald Society Pipes & Drums. The NYPD Emerald Society started it all, founding an organization for New York’s Irish American police officers in 1953, as a response to the City police commissioner’s reluctant, but official, 1949 acknowledgement of the Black policemen’s Guardians organization (Darien 2013: 33-34). The founding of Emerald societies engendered a renewed interest in the preservation of traditional Irish music, overlapping with a broader American “folk music” revival, and soon police departments, then fire departments and other civil service units, and even military academies, across the nation boasted pipe and drum ensembles. Emerald society bands learned the pipe and drum music inherited from Irish military and funeral contexts, and have had a vital presence at police funerals ever since. They eventually became ubiquitous at certain public events and parades, and they have been assigned a special importance at memorials for those who died on 9/11, as 145 of the 343 fire fighters who perished in the rescue effort belonged to the FDNY Emerald Society (Meagher 2006: 610). So this is the inaugural parade, a pageant for (a version of) “the PEOPLE” and by (a version of) “the PEOPLE”. Its lineup privileges the culture of particular American demographic groups whose interests helped to shape Mr. Trump’s career and his understanding of the country he would one day lead. Its sounds will make some Americans feel safe, nostalgic, while others will hear only the same silenced voices that have crowded the Capitol at every inauguration. “Making America great again” demands a focus on the past. But if we continue to march ahead with our gazes fixed firmly behind us, we’re bound to fall. Darien, Andrew T. 2013. Becoming New York’s Finest: Race, Gender, and the Integration of the NYPD, 1935-1980. New York: Palgrave McMillan. Kirk, Elise K. 1997. “’Hail to the Chief’”: The Origins and Legacies of an American Ceremonial Tune.” American Music 15(2):123-136. Lincoln, Yvonna S. and Norman K. Denzin, editors. 2003. Turning Points in Qualitative Research: Tying Knots in a Handkerchief. Walnut Creek, CA: Alta Mira Press. Lipsitz, George. 1995. “The Possessive Investment in Whiteness: Racialized Social Democracy and the “White” Problem in American Studies.” American Quarterly 47(3): 369-387. Meagher, Timothy J. 2006. “The Fireman on the Stairs: Cmmunal Loyalties in the Making of Irish America.” Making the Irish American: History and Heritage of the Irish in the United States. (J.J. Lee and Marion R. Casey, editors). New York and London: New York University Press. Taylor, Alan. 2010. The Civil War of 1812: American Citizens, British Subjects, Irish Rebels. New York: Alfred A. Knopf. In 2017, there is Cowboy Troy at the ball, and there are cowgirls in the parade. The origin of “Hail to the Chief” has special resonance for our new president. His mother was Scottish, a MacLeod born on the Isle of Lewis in the Outer Hebrides. He has visited his mother’s hometown, and the website for the Trump International Golf Links in Scotland offers lengthy information about his ancestry there, as well as a crest he invented. The crest’s motto reads “Never Give Up.” But the crest for the Lewis clan MacLeod is a burning sun, and the Scots motto (not Gaelic) reads “I birn quhil I se,” (translated variously as I burn while I see or I burn while I shall) or in Latin “Luceo non uro” (I shine/glow, not burn, or I burn but am not consumed). Though the English translations for these phrases do not correspond exactly, they both have to do with a quality of fire-resistance, an ancient predecessor of “Teflon Don.” The story of this motto is tied, weirdly, to the ruined Trumpan Church on the Isle of Skye—ruined because some MacDonalds, the mortal enemies of the MacLeods, tried to burn a group of them inside in 1578 (it was revenge for a similar act on the part of the MacLeods). Basically, the motto says, “You can set me on fire, but I’m indestructible, and I’ll just come out of it stronger.” For America’s new Sun King, that sounds about right. The Nevada Emerald Society also confirms as much on its website, though without explicitly mentioning the Guardians. The first was the NYPD’s in 1960. Speaking of military contexts, it’s worth noting that the pipe portion of the Citadel military academy’s Regimental Band & Pipes, which will perform in the inauguration January 20, was added in 1955. 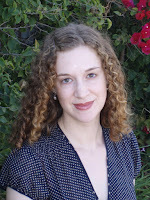 Katherine Meizel is an Associate Professor of Ethnomusicology at Bowling Green State University in Ohio. She earned her Ph.D. in ethnomusicology at UCSB, and also holds a doctorate in vocal performance. 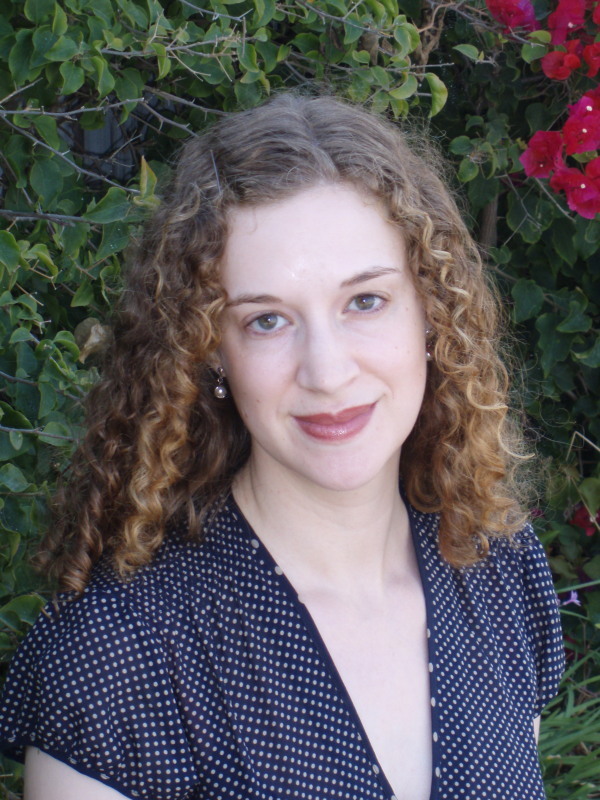 Her research includes topics in voice and identity, popular music and media, religion, American identities, and disability studies. Her book Idolized: Music, Media, and Identity in American Idol (IU Press) was published in 2011; she also wrote about Idol for the magazine Slate from 2007 to 2011. She is currently co-editing the upcoming Oxford Handbook of Voice Studies, and completing a monograph for Oxford University Press titled Multivocality: An Ethnography of Singing on the Borders of Identity.